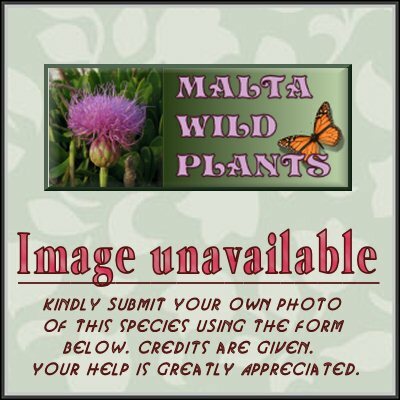 ﻿ Euphorbia peplis (Purple Spurge) : MaltaWildPlants.com - the online Flora of the Maltese Islands. Procumbent, somewhat fleshy, glabrous annual, usually with 4 branches from the base; branches up to 40 cm. Leaves (4-)5-11(-16) × 2•5-5(-10) mm, falcate-oblong, obtuse or emarginate, entire or almost so; base obliquely truncate; petiole 2-3 mm. Stipules 1•5 mm, subulate. Glands semicircular, reddish-brown, with small, paler appendages. Capsule (3-)3•5-4(-4•5) × 4-5 mm, rather deeply sulcate, nearly smooth, purplish. Seeds 3 mm, ovoid-pyriform, smooth, pale grey, occasionally brown-mottled. Coasts of S. & W. Europe, northwards to S.W. England.